Web conferences often include audio and/or video conferencing elements. Conference calling has evolved into three distinct formats, Audio Video Web Conference. Many companies use all three types of communications methods, choosing the most appropriate type for the task at hand between Audio Video Web Conference. The best type of conference call is often subjective. However, the advantages and disadvantages of the different types of conferencing listed below can provide you with some insight. • Ease of use. Due to the long history of audio conferencing, this method is well understood and familiar to most business professionals. Generally speaking, joining an audio conference is a simple matter of dialing a phone number and entering a passcode. Thus, one of the biggest advantages of audio conferencing is its simplicity. • Accessibility. Everyone has a phone. Not only is there no special equipment needed, but you can also use any type of phone, including mobile phones and VoIP phones to join — and from virtually anywhere in the world. • Cost. Audio conferencing is extremely affordable — even for international attendees. Our international conference calling plans feature rates as low as just a few pennies per minute. • Line noise. Great quality connections are certainly an advantage. However, background noise is always a concern. Fortunately, participants can self-mute their lines while moderators can mute individual lines as needed. Group audio calls are a great choice when you need to quickly and easily communicate with a geographically diverse group in real time. Example use cases include meetings, trainings, crisis communications, public relations, coaching calls, and business collaboration. Audio conferencing adds voice and tone to the conversation, giving it an advantage over email and text-based communications. However, you won’t be able to see facial expressions or body language. If those are important, consider video conferencing. Most modern computers, laptops, tablets, and smartphones are video conferencing ready, which, coupled with our browser-based video conferencing plan, makes video conferencing much more accessible than in the past. The advantages are similar to audio conferencing, but with the ability to see one other. This can strengthen relationships as other participants are now perceived as real people and not just disembodied voices. Some people, however, may be uncomfortable appearing on camera. 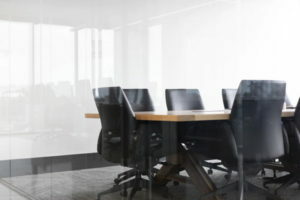 Their environments may also become a distraction or appear unprofessional, making it important for attendees to consider what the camera may be revealing. A potential disadvantage is ensuring access. Some video conferencing plans require participants to download and install software where others, like our Video Pro desktop video conferencing plan, work in a standard web browser. Video conferencing is a great choice for one-on-one and small group collaboration, job interviews, motivational talks, and presentations featuring a few key speakers who appear on camera. Web conferences often include audio and/or video conferencing elements. For example, participants will view the web conference in a web browser but may use a separate phone line for the audio portion. Likewise, webcams may be enabled in a web conference. One of the advantages of web conferencing over the other two methods is its tendency to be more interactive. For instance, you can share screens, launch applications (like PowerPoint or a video player), chat in a text-based chat, or share files. Web conferencing is a great choice when you need to share media and files with your participants. Example use cases include sales presentations, bids and proposals, team meetings, coaching and consulting, and new employee/client onboarding. Audio Video Web Conference – Our affordable, month-to-month conferencing plans make it easy to choose the right type of conference for any given purpose. There are no long-term commitments or contract on any of them, making it possible to choose the right plan, at the right time.